There are books and fish in this comic. The principal character Doctor Comics reads a lot of books and frequently eats fish. The first chapter contains a lot of books including graphic novels and at least one fish. 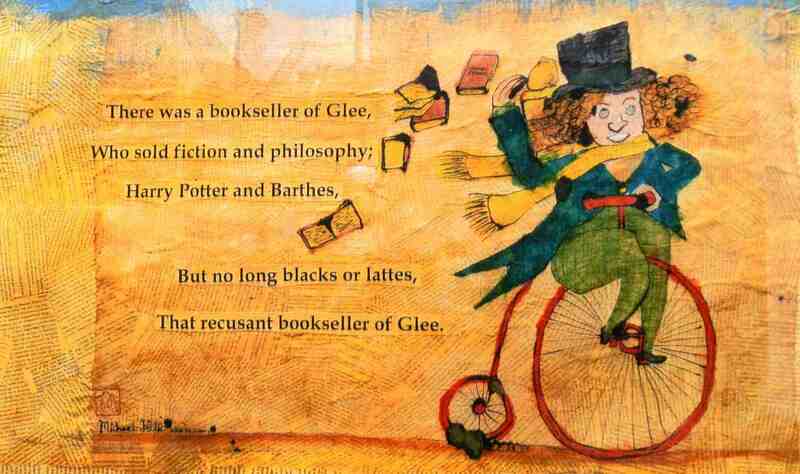 Glee, or Glebe, is a very bookish suburb and is located just across the road from Sydney University and near two others, the University of Notre Dame and the University of Technology. The area has several bookshops, cafes and restaurants. It is also within walking distance of the Sydney Fish Market. The Bookseller of Glee (below) is a portrait of the proprietor of one such bookshop, Gleebooks (that Doctor Comics occasionally writes reviews of graphic novels for) and friend. Although he stocks graphic novels he refuses to sell coffee and cakes. This is the original colour art work. A Black & White print of it will appear in the comic (as shown below). The prinicipal character in the comic is an aficionado of fish and cakes as well as comics. We’ll get to the cakes and coffee shops later but as regards his interest in fish his cats don’t mind this aspect of his behaviour at all. 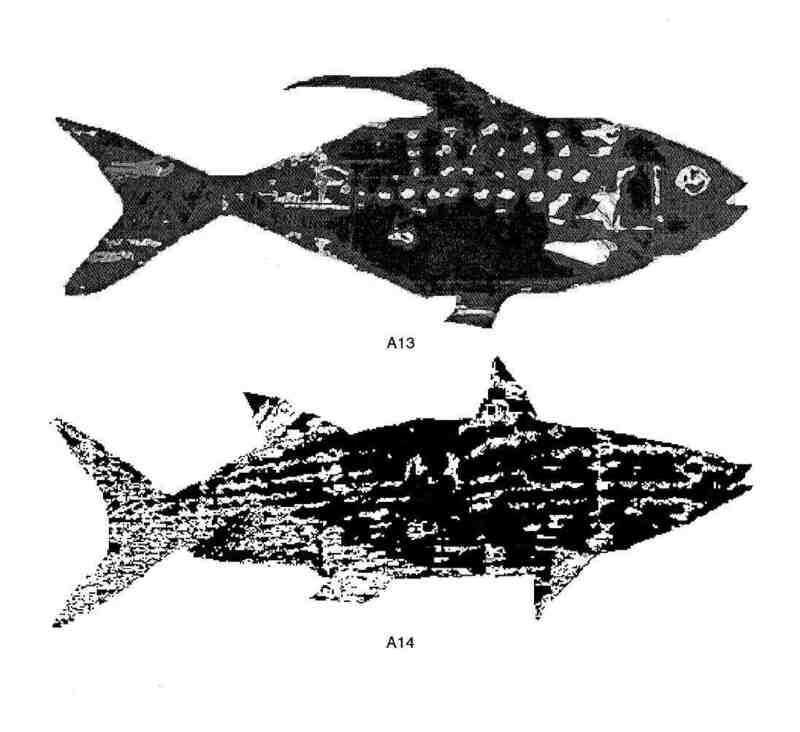 In the first chapter there are no cakes or coffee and only one fish, possibly one of the two fish shown below, but it’s a large one. And a bottle of wine. And the introduction of the two cats, too. This entry was posted in Art, Blotting Paper, Comics and tagged bookshops, comics art, image-making, printmaking, Sydney Fish Market, woodcuts by Doctor Comics. Bookmark the permalink.